I think I need to go to the beach to do my outfit pictures more often! I live so close to the beach and I never go! But because Emily is here we went to the beach and it just looks so beautiful in the background of these pictures. It is really bad but I guess I am so used to the beach since I have lived here my whole life that I take it for granted. Emily thinks the palm trees are so pretty and different. They are its just that I see them everyday so I don't consider them to be anything special. Looking at these pictures makes me realize how beautiful it is and how lucky I am to live in such an amazing place! Yay its Friday! I hope you all have a great weekend! Thanks for reading..
Love this look! That hat is gorgeous! How did you do your low bun Jade?? Super cute and chic!! I am obsessed with your sweater! Forever 21 has some great finds lately! Great outfit girl and I LOVE that hat!!! 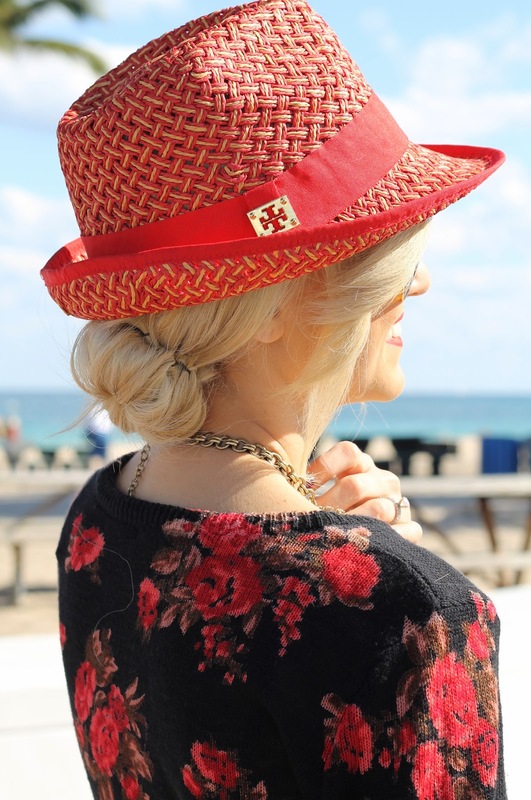 Gorgeous hat!!! You look so darling! I'm the same way! I live in Orange County, CA and I always take the beach for granted. When my aunt from Arkansas came to visit the first thing she said was "OMG Palm Trees!" My mom and I laughed because it's so normal to us. Love the Fedora, you pull it off fabulously. Who's your photographer??? She/he is amazing! You look so fab in that hat! Yes go to the beach more often! For those of us who don't live close it's nice to see! Girl, your look are the best! You're gorgeous! I just discovered your blog and I love your style! I will definitely be coming back again! I am loving the combination of this sweater and these boots! Super cute! 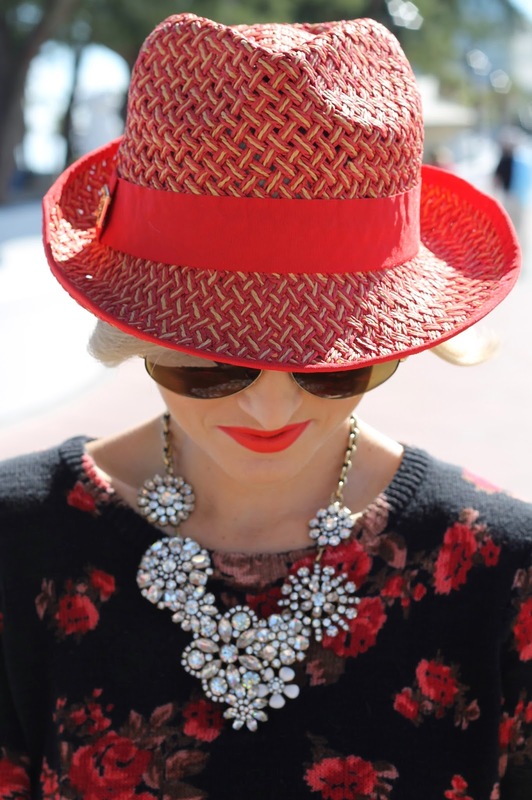 I love the combo of the fedora with the red lips, so perfect. And you look gorgeous in this post. Have a lovely weekend! Gorgeous outfit- absolutely love the hat! I love everything about this outfit. Especially, the sweater and bag! Loving your pashli, I need to get it in large!